What does it mean to be Black in a white, middle-class community? Is it the ultimate symbol of success? Or will one pay in isolation, alienation, rootlessness? What price must one pay for paradise? Is the price too high?Beverly Daniel Tatum, a renowned authority on the psychology of racism, interviewed Black families in depth to identify the sacrifices and achievements necessary to survive and prosper in a white community. For the Black citizens of Sun Beach,” dual-income households, religious affiliation, and extended families help maintain stability. But with assimilation comes an insidious hidden racism,” subtly communicated when Black children aren't called on in class and revealed more fully in incidents of racial name-calling. 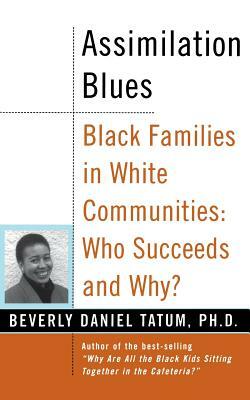 By listening to the individual voices of these children and their parents, Dr. Tatum skillfully probes the complex questions of identity that arise for a visible people rendered invisible by their surroundings.